Insurance | Noah Schwinghamer, Esq. On December 29, 2015, in Car accidents, Car Crashes, Case Law, Information for Everyone, Information For Lawyers, Insurance, Lawsuits, Personal Injury, Personal Injury, Wrongful Death, by NFS Esq. My new page on California’s Prop 213 can be found here. On March 5, 2014, in Car accidents, Car Crashes, Courts, Information for Everyone, Information For Lawyers, Insurance, Lawsuits, Personal Injury, Personal Injury, by NFS Esq. When you are injured, the insurance companies that represent the at-fault party have come up with a whole bag of tricks that they use to try to minimize your injury, so they can minimize the amount that they have to pay. They use these tricks everywhere from the initial phone call all the way through trial. Be on the look out for these tricks and logical fallacies the next time that you have to deal with an unscrupulous insurance company. On May 3, 2013, in Case Law, Information for Everyone, Information For Lawyers, Insurance, Legal Guides, Personal Injury, by NFS Esq. On January 2, 2012, in Car accidents, Car Crashes, Information for Everyone, Insurance, Lawsuits, Personal Injury, by NFS Esq. On August 18, 2011, in Case Law, Courts, Courts, Information for Everyone, Information For Lawyers, Insurance, Lawsuits, Personal Injury, Politics, by NFS Esq. On August 18, 2011, in Case Law, Courts, Information for Everyone, Information For Lawyers, Insurance, Lawsuits, Personal Injury, by NFS Esq. (1) Was Hanif correct that a tort plaintiff can recover only what has been paid or incurred for medical care, even if that is less than the reasonable value of the services rendered? (2) Even if Hanif, which involved Medi-Cal payments, reached the right result on its facts, does its logic extend to plaintiffs covered by private insurance? (3) Does limiting the plaintiff’s recovery to the amounts paid and owed on his or her behalf confer a windfall on the tortfeasor, defeating the policy goals of the collateral source rule? 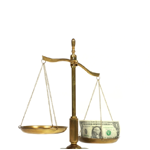 (4) Is the difference between the providers’ full billings and the amounts they have agreed to accept from a patient’s insurer as full payment—what the appellate court below called the “negotiated rate differential”—a benefit the patient receives from his or her health insurance policy subject to the collateral source rule? We address these questions below. On June 25, 2010, in Case Law, Information for Everyone, Information For Lawyers, Insurance, Lawsuits, by NFS Esq. What Are the Different Types of Auto Insurance in California? On May 8, 2010, in Information for Everyone, Insurance, by NFS Esq.